Adam Whyte said his teacher asked him to draw what he liked to do with his mom. So, he drew a picture of the Garden Sale. 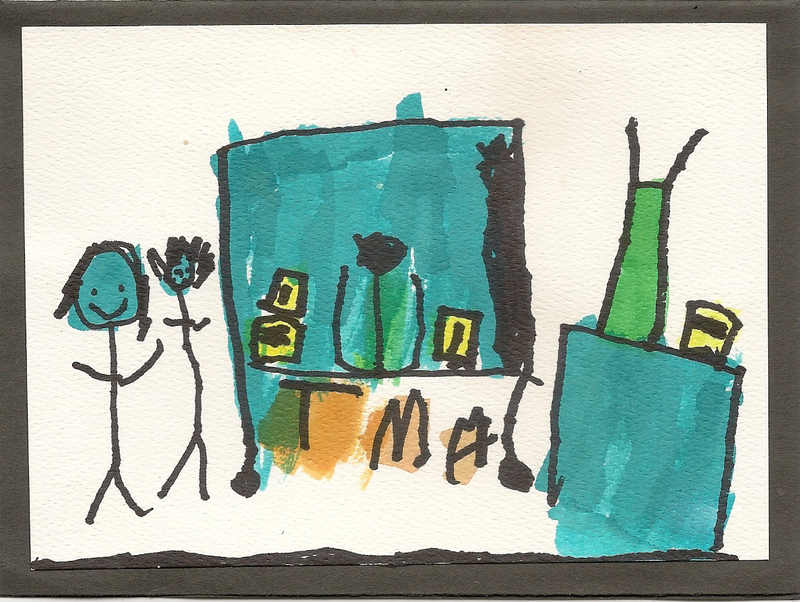 He drew the TMA Store, flowers, pumpkin bread and a green plastic pitcher his mom uses for smoothies. Adam said he likes the sale because he buys pumpkin bread, lemon pops and seaweed. (Naomi Dei Rossi’s kale chips!) Next year Adam will be an incoming Kindergartener.